"The Wheel of Time turns, and ages come and pass, leaving memories that become legend. Legends fade to myth, and even myth is long forgotten when the Age that gave it birth comes again. In one Age, called the third age by some, an Age yet to come, an age long past, a wind rose in [a location]. The wind was not the beginning. There are neither beginnings or endings to the turning of the Wheel of Time. But it was a beginning." 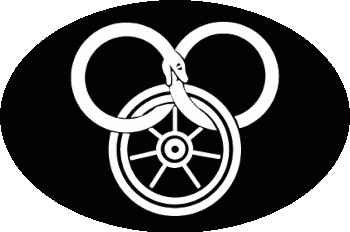 An epic fantasy series by Robert Jordan, currently consisting of fourteen books, a prequel (New Spring), and a series guide entitled "The World of Robert Jordan's Wheel of Time," as well as a first-person shooter and a tabletop RPG. The main sequence of the series is now complete. Harriet McDougal, Alan Romanczuk, and Maria Simons made an updated series guide/encyclopedia with Jordan's notes that was released in November 2015. "River of Souls": short story published in the Unfettered anthology. note Takes place concurrently with the beginning of A Memory of Light and is Demandred-centric. Saidin and saidar are Different as Night and Day, but male and female channelers working together have always achieved the best results. So, thousands of years ago, in the utopian Age of Legends, Aes Sedai scientists attempted to find and access a source of magic that could be channeled by both genders. Good news: they found it. Bad news: "it" was the the Dark One, the embodiment of pure evil, and the attempt to dig a hole to its prison just broke it open. Long story short, Hilarity Ensues, if by "hilarity" one means "death, war, and blood". Lews Therin Telamon, "the one called Dragon", managed to successfully re-seal the Lord of the Grave's prison (and trap its powerful generals known as the Forsaken) with a makeshift cork, but not before the Father of Lies poisoned saidin. All male Aes Sedai quickly went insane, as would all male channelers thereafter, and brought civilization crashing down by each becoming a Person of Mass Destruction and committing a World Sundering or three. Eventually, mankind rebuilt itself, but never regained its former glory. Some three thousand years later, in the story's modern day, a Power Trio of young men — Farm Boy Rand, Guile Hero Mat, and The Blacksmith Perrin — were living out their lives in a small village... until a mysterious woman called Moiraine showed up, followed shortly thereafter by an attack by (to them) mythical monsters. According to Moiraine, the three were "ta'veren" (an Old Tongue word meaning "Main Characters"), and the Dark One itself was after them. Possibly, one of them might be the Dragon Reborn, the reincarnation of Lews Therin Telamon who would lead the forces of good against the rise of evil — and, like any male channeler, go mad. Moiraine was sent in to find him, protect him, teach him to channel (if possible), keep him sane (if possible), and prepare him — whichever one "he" is (First-Episode Spoiler: it's Rand) — for the fight. For the seven seals on the Dark One's prison are starting to weaken, and The End of the World as We Know It is approaching, and if there is to be any hope for all creation, there's a lot of work to be done. For prophecy says that The Dragon Reborn can defeat The Dark One... but not that he will. Known for its sprawling plot, Loads and Loads of Characters, intricate magic system and... interesting character development, due primarily to Robert Jordan's intense adherence to the Mars-and-Venus Gender Contrast. Jordan churned out the first six or seven books at a prodigious pace, but began slowing down around the eighth, as the plot got bigger, the action got slower and, according to some fans at least, the quality got lower. Progress slowed further when Jordan was diagnosed with a rare blood disorder, amyloidosis , which he succumbed to in 2007. Even worse, Author Existence Failure hit at the exact worst time: midway through the twelfth and final book of the series, A Memory of Light. But all was not lost. Jordan's wife and editor, Harriet McDougal, chose up-and-coming fantasy author Brandon Sanderson to complete the series, based on Jordan's copious notes and some completed fragments. After working on the Kudzu Plot, Sanderson announced that the last book had grown to an additional three volumes — despite Jordan's declaration that the twelfth book would absolutely wrap the series, even "if it's 20,000 pages long, Tor has to invent a new binding system, or it comes with its own library cart". Whatever the case, Sanderson delivered his first novel in 2009, and the Wheel continued to spin, with the final book released in January 2013. Very much one of the Long-Runners: the first book of the series was published on January 15, 1990, the last exactly 22 years and 51 weeks later, in January of the Chinese Year of the Dragon. An extremely shoddy Pilot Episode for a TV adaptation of the series was aired on FXX (at about 2 AM) in February 2015. Though the producing company, Red Eagle Entertainment, then held the television rights to the series, the pilot was shot without involvement or approval from Harriet McDougal; the rights were due to revert to her a mere three days later, explaining the pilot's Obvious Beta nature and total lack of advertising or publicity. Since then, McDougal has re-negotiated a contract with Sony Pictures, who will produce an approved and official TV series. Let the Dragon ride again on the winds of time."